Marko Petrak comments on the performances of Stipe Miočić and Igor Pokrajac at UFC 161 in Canada. Talking about the Croatian fights at UFC 161, the first thing that needs to be pointed out is excellent tactics in both cases. Sadly, this doesn't pertain to both Croatian representatives, but rather to Stipe Miočić and Ryan Jimmo. Miočić outclassed Roy Nelson primarily due to his outstanding tactical preparation and, of course, for carrying out his team's instructions to the very last detail. 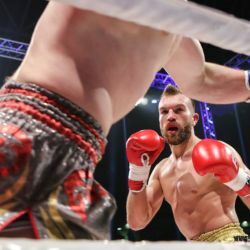 It is concerning that Igor Pokrajac found himself in an almost identical trouble as in the fight against Joey Beltran. His opponent's superior wrestling left him practically without any answer, sending the Duke down without a single bullet fired for the second fight in a row. The impression is that he's been "read" by his opponents and that he needs a drastic change in his upcoming fights if he wants to remain part of the UFC elite. But more on that later, first we need to concentrate on Stipe Miočić's sensational win. What's especially delightful and what should give added satisfaction to Stipe is his distinctive underdog role in the last night's fight. 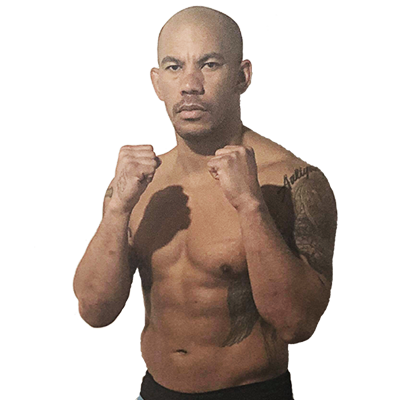 No one gave him too much chance against Nelson, and this was mostly due to his rather pale performance in the last fight against Stefan Struve, when he was knocked out in round two. However, the quality of great athletes is that they learn from defeats, evolve in the following matches and turn their weaknesses into strengths. This is exactly what Stipe Miočić has done and that's why we are awaiting his upcoming UFC fights with impatience. 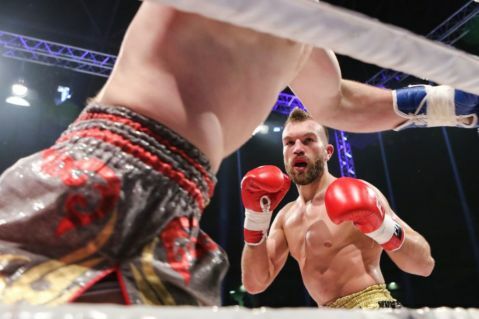 His colleagues from the elite MMA organization have, aside from praising his impressive display, given very indicative statements, saying that if Miočić fulfills his potential he could be a "terrifying" fighter and future champion. And really, if Stipe continues to move forward at this pace, and provided he maintains carrying out the instructions of his clearly very good corner with such precision, it isn't unlikely that we could very soon see him even as a UFC contender. Don't forget, Stipe's best quality isn't the strikes he outclassed Nelson with; Stipe is a top wrestler who possesses a truly frightening GNP in his arsenal, which he duly demonstrated against Shane del Rosario. Although Nelson was a clear favorite and appearing in a PPV co-main event was the biggest test in his career, the Croat showed no signs of nervousness or being impressed by all the pomp around him. Miočić went through the fight in a mature and clever way, sticking with the preset tactic from start to finish. What exactly led Miočić to such a convincing win against – realistically speaking – a lot more famous and experienced opponent? Above all else, it was his first rate movement around the cage and incredible physical condition. Nelson is a merciless striker whose right swing will sweep off everyone who stands before him – even those with a chin as hard as that of Miočić. Yet Stipe's constant movement, getting in and out of series of blows, and his very lucid use of diverse techniques (technically perfect punches, knee kicks at the end of series and clinch elbows) completely stunned Nelson who simply got lost as early as the middle of round one. What needs to be specially noted is a very clever "feigned" takedown tactic which he periodically used in order to additionally tire out his opponents with sprawls, as well as to make him constantly think he might end up on the ground, which Nelson definitely wanted to avoid. We've already mentioned Miočić's fitness which was at least two levels above the one in Nottingham. The impression is that this segment of fighting was the key to his loss against Struve. In that fight, his fitness went down after a very good first round, which ultimately cost him a severe defeat. Now this was not the case. It was exactly the opposite: until the very end Miočić was light on his feet, quick and very dangerous. UFC president Dana White has already announced Miočić's next fight against Mark Hunt. While this is a rather similar opponent to Roy Nelson in terms of style, the impression is that the "Samoan warrior" is technically much more advanced and at least as dangerous a striker. Therefore, Miočić should change his tactic for that bout and move the fight to the ground, where he'd definitely be in a superior position. 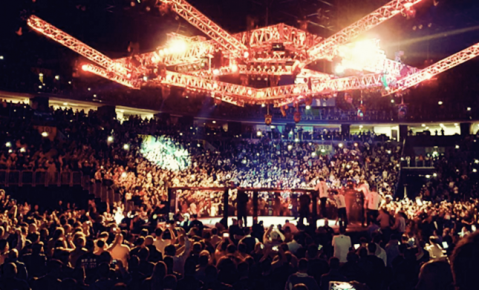 If the announcements come true, the Miočić vs Hunt fight would be a fantastic MMA treat for all Croatian fans. To the same extent Miočić has advanced since his previous fight, remedying the errors that cost him a loss to Struve, Igor Pokrajac has stagnated in the segment that was the cause of his own defeat against Joey Beltran at UFC on FX event in Australia. This cost him his second defeat in the last three UFC fights, which could bring him uncertainty due to the merciless policy of his employers. From the very outset of the fight, it was clear what Ryan Jimmo's tactic is… It read: copy Joey Beltran's tactic. Use superior wrestling to press Pokrajac against the wire and stall as long as possible. Naturally, this is a very unpopular and boring technique which, after all, turned even his own crowd against him, but at the same time these are legitimate techniques permitted by the UFC rules. However, the referee this time reacted a lot better in the cage, stopping every inactive clinch, but even this didn't help the evidently frustrated Croatian fighter. Realizing what was going on, Pokrajac was aware he had to take one of those rare chances the opponent would give him in the center of the octagon. Desperate for a knockout, Igor went forward recklessly, getting smacked in the second round in such a way that almost cost him his fifth stoppage (KO/TKO) loss in career. This is where his granite chin came into play like so many times before, as well as his incredible power of recovery, which enabled him to survive that knockdown. Still, there were a couple of good segments in Pokrajac's performance. 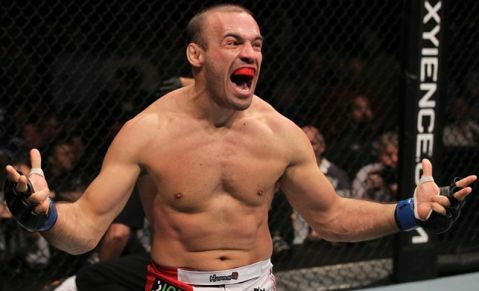 Igor seemed extremely physically fit (perhaps even the fittest to date), and went for victory until the very end. No one can deny his unbelievable will and dedication, as well as his desire to treat the crowd to a good fistfight duel. What he'd visibly progressed in is his defense in the moments he'd end up in the inferior position on the ground. His excellent control of Jimmo's wrists and amazing defensive techniques made the Canadian impotent and powerless. Furthermore, the impression is that Igor did more damage from the bottom position than Jimmo managed to do from the superior position. Praise is also due for his excellent trip effort, which unfortunately didn't go through all the way, but, like in the match against Magalhaes, he got into trouble once they fell on the floor. Had the guillotine attempt happened in the first or second round, instead at the very end of the fight, Jimmo would've been in some big problems, but this way he got out and closed the fight in his favor. Unfortunately, Igor definitely must expand the array of his in-cage tactics for upcoming fights since this way he comes off as a one-dimensional fighter, which he surely isn't. It goes without saying that wrestling (especially against the wire) is the key part he needs to work hard on, because now it is quite obvious and clear how every next opponent will set himself up when on the opposite side of the octagon. Defeats are integral to every sport, including mixed martial arts, so Duke needs to learn his lessons from this latest one and come back improved, better and stronger than ever before. Pokrajac fights UFC veteran at event headlined by Woodley and Thompson!